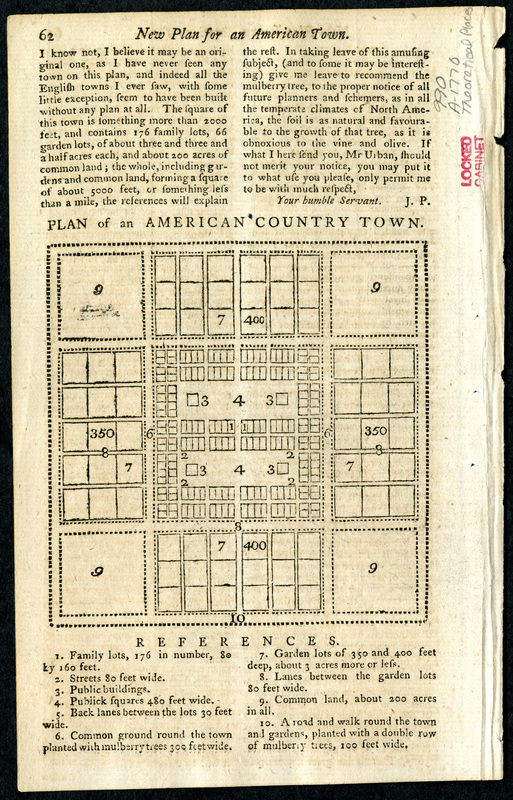 Map shows a plan for a town in the new American colonies. : Original version published [London] : [Gentleman's Magazine], [1769? ]; Scale not given.